The call for applications to the fifth edition of the SUMP Award is now open. This year's award will recognise the local or regional governments that have done most to integrate urban freight with their Sustainable Urban Mobility Plan(SUMP). 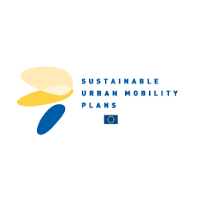 The focus on urban freight ties into this year's EUROPEANMOBILITYWEEK theme of how smart and sustainable mobility can support a stronger economy. Urban freight can be made more sustainable in a number of ways. Consolidating freight in a logistics centre and using a smaller number of vehicles to deliver to more addresses is one example.